might miss the very important messages that the vehicle sends for maintenance. Read the information below to determine if your dashboard lights are working or not and decide if you can fix the problem yourself or if you need to call a mechanic. Your vehicle Owner's Manual should contain all the information you need to know about your dashboard lights, including the meaning of each icon, and possibly specific information, and recommendations for the steps required to solve certain dashboard lighting problems. It is important not only to read this information in order to understand each indicator, but also to know what to do when certain lights are triggered. Take your car key and plug it into the ignition. Put the vehicle in the "on" position but not in the "start" position where the engine is running. If you do, you may see some or all of the dashboard lights on, as you may have already noticed. On some car models, the lights remain on until you start the engine. On other models, the dashboard lights go off after a few seconds. It is therefore important to read the section in the vehicle owner's manual on the illumination of the dashboard and how it works. If only a few of your dashboard ads are lit, but others are not, you'll need to do other reviews or have a professional mechanic do the work for you. Sometimes the knob or knob that regulates the brightness of the instrument lighting is turned down completely, making it difficult to tell if the lights are on or off. Find this control and turn it all the way up to improve visibility. If you do not know where this button is and you can not find it yourself, consult the vehicle owner's manual. If some dashboard lights are still not registered after you set the slider to maximum brightness, you need to continue with other checks. Depending on the make and model of your vehicle, this fuse box is located either at knee height to the left of the steering wheel or under the bonnet. Always carry out these checks when the vehicle is switched off and the keys are removed from the ignition. Some fuses are cylindrical and encased in glass, with the metal ends numbered by part type and amperage. Others are a narrow rectangular shape with two tines of different colored plastic, which are semi-transparent and on which an amperage is printed. When a fuse blows, this is usually obvious. The cylindrical fuses have a broken connection within the glass tube, and black glass is usually collected on the glass, making it harder to see the interior. Be careful not to break the glass fuses. In the plastic casing of the other fuse, you can see that the plug is defective. It can also be collected black soot inside. Plastic-colored fuses are usually very close together in the fuse box and can be difficult to grip with the fingers. Use needle-nose pliers for extra strength and leverage. Make sure that you do not press too hard so you do not crack the plastic case. If you find that a fuse has blown, replace it with a new one of exactly the same type, and make sure it is tight and firm like the others around it. If you've done all of the above checks and some or all of your dashboard lights still do not work, you should call a mechanic immediately. 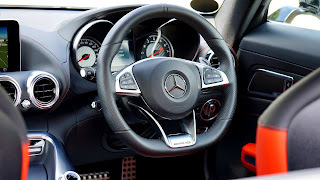 Signals on a dashboard is the first check on the functionality of your car because when you "Turn on" your car every drivers visualization goes to the dashboard, so it is vital to periodically check if there are faulty lights on it. It is very practical, and easy to do.